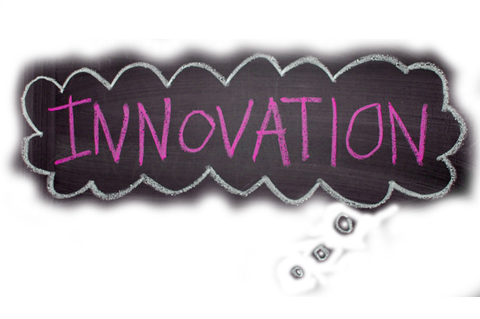 To me innovation is all about using future-proof technologies in the present to solve current issues. One of these solutions are online communities. Things such as crowdfunding, crowdsourcing, work teams, and marketing are very used today and can be very helpful and easy-to-use tools. Sometimes when i see these platforms i think “is it even possible?” The most important thing i learnt is that no matter what the platform is picked, it must be advised to the client as if it were tailored just for them. In this case, freelancer.com was a crowdsourcing platform that helps with the branch ‘access to expertise’ from our spidergram. I reviewed it and made a section titled “How does it fit our NGO?”. This is very important because it may be a useful tool, but it’s a priority to see how well the NGO can use it for a certain project, so we must look at these tools from different points of view. Here i think we had to have a more focused point of view, and find the right platforms. My design principles would have to be that it works well. It may seem like a very broad and general principle, but i think that to design online communities it is of most importance to have something that the NGO can use not just once, but multiple times (if necessary), and with the least side-effects or costs (not money, but “causes the loss of…”). Project communities was an eye-opening course teaching us new things every week, and sort of ‘imposing’ them too, via the Google Hangouts, which show how useful online tools can be. To have the best Project Communities i think it is important to put it out there. By this i mean that you shouldn’t be afraid of proposing new ideas or ways we could do things, because at the worst, it will help you think of better ideas, so there is always learning involved. I know i wasn’t very outspoken, but i realize that i should have been to get the most out of it myself. Now we are at the end of the course and, what I can say is that I’ve learned very much during this Project Communities course. One of the most important things that I learned about online communities and networks is that both can be very useful and help you to solve problems even far away from your client. The internet has become the most used tool in world, and with it you can have a direct contact with your client, find out what his problems are and, also using online networks and communities, come up with an idea that may solve the problem. This networks created the possibility to many different kind of designers from many different parts of the world to work together and help each other in finding solutions for every kind of problem. It means innovation, since you are not bounded by the communication borders. With it you have different opinions for different clients and different solutions, but all with only one goal: Designing the great solution. For me one of the best principles for designing is “Engage beginners and attract experts”. This one is basically what happened to us in our work with our NGO. We, as beginners (now we are better =] ), were trying to use the information that we had and looking for more information that could help us to do our job in this course. And with the online networks and communities we got help, even not directly, from experts in the subject, what helped us to develop our work. Also, using communities of crowd funding means using experts websites to reach our goal, and in this way they can work together for a common purpose. Another good principle is “Plan for today’s and tomorrow’s business”. This is a good one, because it is also what we are trying to do for our NGO. We are trying to solve its actual problems but also thinking in its future, like expanding their network so they maybe would not face the same problems again. Now that I’ve experienced things like I did in this course, I know that I hardly will face the same problems as in dividing tasks or roles when working in group. I am sure that this will help me a lot during the IDE program. During the Community Project I learned a lot about online communities as well as various features of some of those. I also learned what features are the important and should be considered when looking for a specific online platform. This course was a great opportunity for me to catch up with the online world of today and see how everything can be done within a network. I also learned and experienced that having a blog and update it regularly with new posts is not too difficult as I used to imagine. Throughout what I learned in this course, I believe there are certain principles that should be taken into account when designing and fostering online communities and network. For instance, design principles such as diversity, appropriateness, user-friendliness, and honesty are very important in designing communities and/or networks. If the content is appropriate but diverse, it can help a wider range of customers with different needs and wishes. Designing a user-friendly and self-explanatory network is respecting the customers; as they will not struggle with learning how the service works and how they can use it. Honesty in design is also very important. If we are designing for people and we want to be welcomed and supported by people, we must make it possible for people to trust our design. To next year’s class I would say that planning, researching, and being active during this course is very important. Starting the IDE program by this course, may not be very easy for everyone. But this course is a great opportunity to quickly learn about challenges and principles of team work, clients’ expectations, design, deadlines, and online networks and platforms. This course gave me the initial knowledge about some very important path in design business, such as marketing, research, strategy, planning, etc. I think these will all be very useful when doing my future projects. In the future projects, I will use the knowledge I gained from this course as tools for more efficiency and productivity. The most important thing I learned about using online communities and networks is, that there so many possibilities of online communities and networks, but not every possibility fits to your project. So you have to decide from case to case, which community or network works best for your design project. First you have to get a general idea of the different possibilities of this networks. For me this step was the most important in our design project, to figure out what fits best. Also I learned that online communities and networks are a great platform to public innovative design. However it is hard work to keep people interested in your design projects. Therefore you need a good presentation of your project. I would like to highlight three design principles for designing and fostering online communities or networks. My first design principle is honorableness. Good design needs to me honest. The customer or user needs to trust the community, otherwise he would not take interest in the community. The second principle is simplicity. Customers or users should have the possibility to take easily part in the network or community without obstacles. And the third principle is understanding. The customers or users need to understand what the community or network is for, otherwise they will not take part in this network. The reasons or aims have to be clear. In the end I would like to say some last words our group work. I gained definitely some ideas, how to do better in group work and project management like better divide of tasks and more clear aims. However I like our work with “google drive”. This website offered us the possibility to share easily documents with all group members. I think in next group works this tool will be very useful. Now I am looking forward to our video! During this course I came across a great deal of new for me online communities and networks. For me personally, the most important thing that I have learned about using online communities and networks in innovative design,is that you have to have a clear idea what kind of thing or help you are looking for. It is much easier to find what you need when you know exactly what and where to look for. Another things is to learn to let go of some ideas for he benefit of others. This I learned can speed the working process, especially in a group. For me , as a designer, I think I will have a few design principles to build my work on and follow them as a guide. First of all it would be Simplicity. I believe the simplicity is the ultimate form of sophistication I believe that if a product is simple, and so with the simplicity it comes its elegance and easy understanding of the audience. Second of all I must say is Breaking the stereotypes and thinking outside the box. I believe that is crucial as our society is fast changing nowadays and I think that we should create the future and set it up rather than follow already established rules and grounds. Third of all I think is Conflict. I think there should be some sort of a conflict in every design project, because when there are conflicts, more opinions and ideas tend to evolve in order to achieve maximum efficency. To the next years I would say good luck and focus on from the beginning as thing move very quickly. It would help if the topics were more appealing to the younger audience and this would really affect the contribution they have in this class. For me it would be valuable as I discovered a lot of new stuff to use for my on going IDE and also it thought were to look for answers when I have problems and questions. This is our last week of Project Communities and we are currently working on production of the video for our NGO. We are going to present our advice and explain our points visually. We have to work really carefully to transfer our thoughts in a presentative way so that our client will be consulted properly and satisfied with the designed solutions. There is also another thing… What I think that is important about using online communities and networks in innovative design. WIth the advent of the Internet, the way people work has changed cardinally. All new features allow to implement the plans easier so they leave more time for us to analyze and come up with new ideas. And one more point… the most essential tip for any kind of the project you carry out - finding the appropriate and convenient online tool for your specific strategy. Personally I’ve learnt a lot from our Monday classes and team work throughout the whole process. To be brief, they are collaboration skills, Project Management attainments and Online Update. It used to seem to me that I have a complete picture about how Social Network works. However, I have been wrong because after this course I’ve found out to myself that is a way more global and vast community with more opportunities to be united and also realize your business purposes. Regarding Vitsœ’s Good Design Principles, the possibilities for innovation are not, by any means, exhausted. Technological development is always offering new opportunities for innovative design. But innovative design always develops in tandem with innovative technology, and can never be an end in itself. So even if we are talking about Project for our NGO, what they have been lack of is innovation. That is what we are going to upgrade Gogorobi Foundation with. For those who are going to study this course next year, I would say that it is mistaken to be afraid of it in the beginning and find it confusing. Keep in mind that it is all about communication, teamwork and brainstorming and you will do it successfully. A one really good tip I would mention is team’s collaboration organizing. It would be better to decide on the style of the way your group will work and split the roles from the outset. Be more dynamic! Project Communities course has attracted me to cooperation which is definitely going to help me with my path through IDE Program. So what do I think is the most important thing about the use of online communities in the design process ? I think since the Internet and its media changed the way to be together it also fundamentally changed the way designers can be together with their clients or future clients and interact with them. Recent insights - also from the introduction week (thanks Gustaaf) - have shown me that designing is always about creating something for the customer, the people. It’s about them. So connecting to them via online communities and networks seems to be a smart and plausible thing to do. Forums in which customers discuss with other customers is I think a great source of valid feedback, it is mostly honest. Tesla Motors the successful automaker “startup” has a special “Enthusiasts” tab on their website with a forum and other things. Online communities should be easy to use and accessible to everybody. And there is no online community without a relevant topic to talk, discuss, think about. A good online community is a social one where people care together about a certain relevant topic. To all the ones who will attend this course I would say it’s all learning by doing, what you put in to it is what you get out. Thats what we have been told in the beginning and I found that to be true. I think I didn’t put enough into it. In parts it’s a simulation of your later way of working and it will teach you valuable things about people, teams, procrastination and others. This is the beginning so don’t be afraid to fail, we’ll fix it later. But more important don’t be afraid to succeed greatly. During the last few weeks we discovered and worked with some very important keys to design a successful fundraising strategy and network expansion for Gogrobi foundation. These themes, in my opinion, all are connected together and one supports another. However, among all I think MARKETING can help the NGO the most. First of all because marketing plays a very important role on the expansion of a network. Therefore, it can extend NGO’s network among fundraisers. This means that more people and organizations with funds available to donate will know about our NGO through marketing. This will give the Gogorobi Foundation more opportunity to get direct and indirect financial support. Secondly, marketing can and probably will also extend the target group of Gogorobi NGO as desired. The bigger the target group (or the groups of audience) the bigger the reputation, and the more chance of donation. Through marketing and advertisement, more people will know about this NGO and I think more children will join and enjoy the events. Parents and/or families will hear about those events and their purposes through both their ads and the audience. There may be some donors among the family of those children. It will also be a better chance for donating companies to advertise their brand or business by donation to such NGO. Last but not least I think a successful marketing requires specific skills and actions including technology steward, crowdsourcing, crowdfunding, etc. It also requires some improvements in the quality of events, service, and work that our NGO does. This makes the marketing an important role towards success and solving the unmet needs of our NGO.